The Jester hits a new milestone. 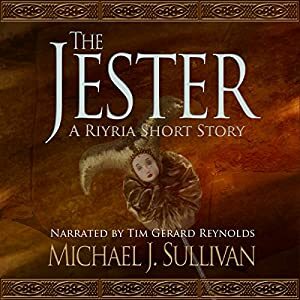 Audible.com tells me that 100,000 copies of my free short story, The Jester, have been downloaded. That's incredible news. You know, long, long ago Robin asked me to tell her how many people had to read my stories before I would consider myself a success. I replied, "Fifty...but...they have to be people who I don't know." Robin thought she could beat that number, and I guess she was right. I really enjoyed writing this story for The Unfettered anthology, something that I also did for free. So even though I've not made any money on The Jester, I still think it was a good thing to do. I can't begin to count the number of people who mentioned finding this short story either in that anthology, or through the free audible version and then went on to read my full-length novels. I know that was one of the things Shawn Speakman hoped would occur for people in the anthology (it was created to raise money to get him out of a huge medical debt). Not only is Shawn now debt free, but he's also started a fund to help pay for other author's medical bills. If you haven't read (or listened to) the short, I'll be more than happy to send you an ebook - just drop me an email and I'll send out and ebook version. Better yet, listen to the short - Tim Gerard Reynold's narration really shouldn't be missed. Thanks all for the amazing support. I'm glad people are enjoying the tale and have told their friends and family as well. 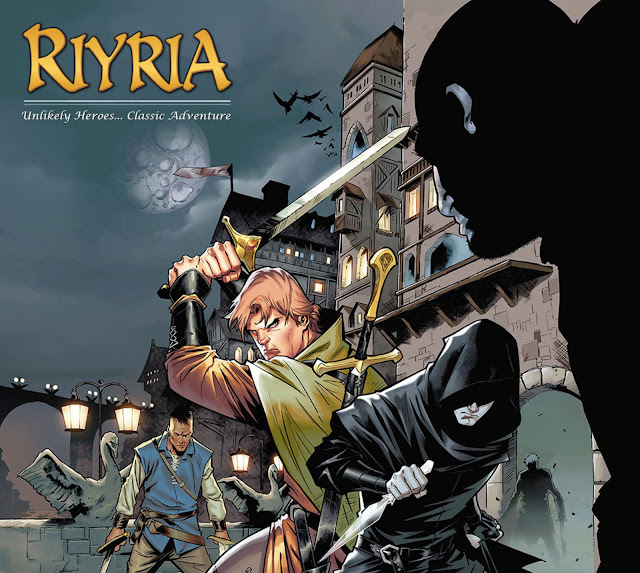 I'm pleased to announce that a Riyria graphic novel is in the works! The announcement went public a few days ago on Newsrama, so sorry about the late posting. Robin and I were on the road (went to do some presentations at a college up north) and as such we are really behind on posting a whole bunch of good news -this being one of them. The artist will be Nigel Raynor who has worked for Marvel, Dynamite, 2000AD, and Dark Horse. The publisher for this project will be Dabel Brothers Publishing who is also working with Kevin Hearnes for his Iron Druid Chronicles and Sherrilyn Kenyon’s Dark Hunter series. Here's some concept art of Limited Edition print which will be available soon. Anyone recognize the scene it depicts? I'll give you a hint it's from one of the Revelation books. As I said, a lot more news about this in the near future. But as I'm already behind on posting the news I at least wanted to get something out right away. 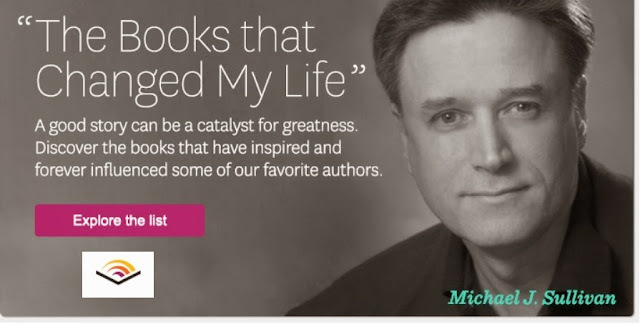 Looking for some interesting books coming out in 2016? Barnes an Noble just published their list of 10 books they thought had intriguing premises. I'm glad to see Age of Myth made the list. Here's the full list so you can check them out for your self. Hopefully you'll find something that piques your interest as well. Hey all, Robin and I have been so busy working that I realize I've not said much about the new series that is coming out in June. So, here's what's going on. As most probably already know, Marc Simonetti has created a great illustration to grace the cover. It depicts Magda (an ancient tree in the Crescent Forest). Del Rey's artistic director (Dave Stevenson) has been working with us to come up with the other aspects of the cover (font, title name, author name). After several attempts, we finally have it nailed down. So here is the cover that will be released. I LOVE the way it looks, and it was no small task finding a font that myself, Robin, Tricia (our editor), and Steve (the art director) liked. Del Rey's team was so accommodating and really went above and beyond with all the options they went through. Robin, whose mind is constantly working, has come up with a way that you can get signed copies if you pre-order. More on that in a future post. For now, we are going to limit how many of these signed copies we are committing to and if you want to be notified once they are available, here is a sign-up list. Also, the proof for the book has come in and both Robin and I are busy reading it. It looks great and marks yet another milestone toward the release. There should be ARC (Advanced Reading Copies) in hand shortly, and I'll do some drawing for people who want to read them ahead of time. Last update on this...the recording of the audio book will start March 14th. And yes, the amazing Tim Gerard Reynolds is don the narration. We are going to New York on the 13th, will go out to dinner with Tim and then sit in on the first few days' recordings. If you are as excited as we are about the audio version of this book, please pre-order it now, or the next time you have audible credits available! I finished by second edit of this book back in November. It's been sitting, waiting for Robin to read and provide commentary to. She's already been through this process once before, and the book was in really good shape, so this shouldn't take too terribly long. Robin just needs to GET to it. Three things are in front of her. Finish shipping The Death of Dulgath Kickstarter rewards. She is close on this. So far we have all the books and t-shirts out. Now it's just down to Bags, Mugs, Posters, and maps. That sounds like a lot but compared to the books and shirts it's not nearly as time-consuming. Finish editing The Making of The Death of Dulgath ebook. 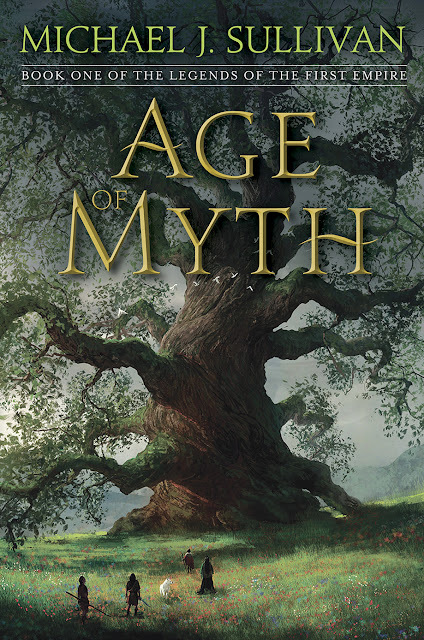 Finish proofing of Age of Myth. Once she gets through it, and assuming she doesn't haven't anything major for me to edit (which neither of us suspect will happen), the beta read will start. The beta readers will fall into a few categories. If you are interested in beta reading, you can sign up here. I finished up the second edit of this book in December. It is also sitting waiting for Robin. What a slacker! (Okay, don't throw rocks at me we all know I'm kidding with that comment. Robin is the hardest working person I know). I don't see the beta read starting for this anytime soon. And Robin will be more than busy with the beta read for Age of Swords. Again, this book had very few changes from Robin's original alpha read, so I don't expect much additional work on this. This is what I'm working on now, and have been for the last several weeks. Unlike Book #2 and Book #3, this one did require MAJOR work based on Robin's first alpha read. That's the bad news. The good news is I have (a) figured out all the changes, created a new outline, and figured out all the problems introduced by the changes (b) have been writing it for several weeks now. The original deadline I set for this was end of February, and that's not going to happen. I got started late because I was helping Robin ship Kickstarter stuff. But I do think it'll be done sometime in March, which isn't that much of a delay. This also will need some major work based on Robin's alpha read. The good news is (a) it's not nearly as extensive as the work to book #4, and (b) getting book #4 straightened out will make book #5 go much more quickly. At this point I still think April or May (which was my original deadline for myself) still seems doable. Wow, that's a lot. See, I knew it was a long time since I've updated people on this. The Death of Dulgath has been the focus of most of my posting as of late, but with it finally "out and about" it's time to start looking at the project. I'm very excited to hear what people think of it. 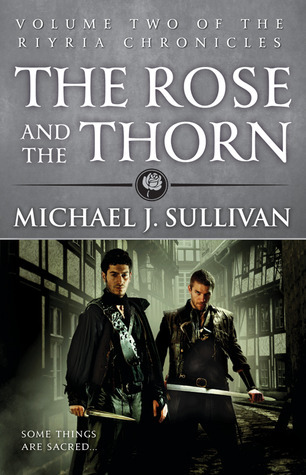 Since the publication of The Death of Dulgath in hardcover, I've received a lot of emails from people who would like to have the other books of the series match. Unfortunately, Orbit never released their books (Theft of Swords, Rise of Empire, Heir of Novron, The Crown Tower, The Rose and the Thorn) in hardcover format. They did sell book club rights to the Science Fiction and Fantasy Book Club, but the Revelations versions sold out years ago. 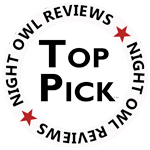 Today, people can only find them on the used book markets, and usually at a premium cost. For several months now, I've been trying to negotiate the right for a limited edition hardcover run of the earlier books, and now Orbit has agreed! While we still have to nail down some details, the hard part is over -- getting permission. So Robin and I spent yesterday's lunch brainstorming the project and how to roll it out. We most likely will utilize a Kickstarter campaign, and since the number of books is limited, we are likely to sell out (especially the rare editions) rather quickly. To make sure ardent fans don't miss out, we've started a wait list. People on this list will receive the Kickstarter URL before it goes live and will know the date and time of its launch. That way people on the waitlist will have the best chances of getting their copies. If you would like to sign up, here is the link to do so. We hope you are as excited as we are about this opportunity. I love the way the hardcover editions of The Death of Dulgath look on my desk and shelf, and I can't wait until the entire Riyria saga sits beside it. I hope you are equally excited.